THE PANDORA INN WINS SILVER! The Pandora Inn has won Silver in the Tourism Pub of the Year category in the 2017/18 South West Tourism Excellence Awards, the latest in a long line of awards won by this iconic Cornish inn. Pandora Inn is award finalist – again! The Pandora Inn been named as a finalist in the Tourism Pub of the Year category in this year’s South West Tourism Excellence Awards – the region’s premier tourism awards. This means we are guaranteed a bronze, silver or gold award. We’re back – the Pandora Inn strikes Gold again! The Pandora Inn has been named Tourism Pub of the Year in the 2017/18 Cornwall Tourism Awards. We are thrilled to announce that The Pandora Inn has been named as a runner up in The Good Pub Guide Awards for 2018 in the ‘Pub of the Year’ category. The Pandora Inn is a finalist again! The Pandora Inn has been named as a finalist in the Tourism Pub of the Year category in the 2017/18 Cornwall Tourism Awards and is guaranteed a bronze, silver or gold award. An impressive achievement in itself, it is also incredibly the seventh successive year that the pub will pick up an award in this prestigious tourism event. Cheers! Skinny Prosecco is here! It’s fun, it’s fizzy and just about everyone seems to be drinking it – Prosecco has taken the country by storm! This Italian sparkler has made celebrating a whole lot more affordable, so much so that now, you don’t even need an excuse to raise a glass of fizz! Clean up with a Pandora Inn tea towel! 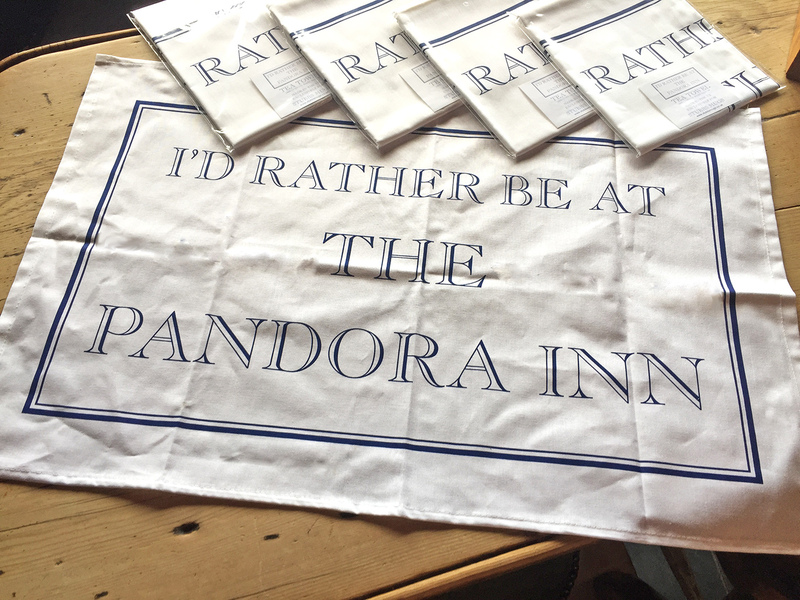 Washing up just got a lot more exciting… we bring you the Pandora Inn tea towel! This is fantastic! On our Christmas quiz and prize draw night last month, the Pandora was packed full of customers having a fun and festive time… “So, how about a mannequin challenge?” we said, and this is the result… Huge thanks to our wonderful customers and our great Pandora team for playing along! 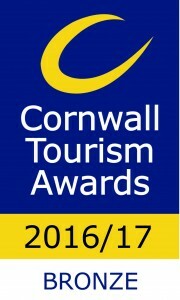 We are pleased to have won a Bronze Award in the ‘Tourism Pub of the Year’ category in this year’s Cornwall Tourism Awards. Well done team Pandora, another award to add to our list!